What do you do if your city turns into a burned out husk of its former glory, abandoned buildings for miles upon miles, etc? This is happening in several cities around the world. Former hubs of massive commerce and industry, turn into crapped out urban blight when the tides of corporate success change. I have an amazing movie to recommend that takes a close look at one of these cities, Detroit, and what some of the Detroit citizens are doing to take some control over their lives and rehabilitate their city. The movie? Urban Roots. It takes a look at the Urban Farming scene in Detroit, in several variants of the practice, and it does a great job of making small scale farming look highly appealing. First, what is Urban Farming? It's actually one of those misnomer phrases like that joke about "Military Intelligence" being a contradiction in terms. "Urban" refers to a certain geometry of building height, setback from the sidewalk, and streetscape that we would immediately recognize as "city". You can have a small town, that has an "urban" core and two blocks away is houses with front yards. The geometry of the urban core is no front yards, and buildings taller than 3 stories high. When you take the buildings away it is no longer urban, but something else. However, this is a bit of a nitpick, and what this "Urban Farming" is focusing on is the repurposing of land within the city limits of a large city, and placing some of that land to the use of growing crops. In other words, a farm located within a city. 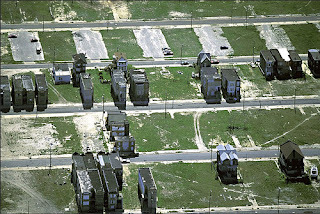 In the case of Detroit there has been many decades of flight away from the city, growing blight from mile after mile of abandoned buildings, squatters, drugs, violence, crime, and more. I've never been to Detroit but what I hear it is or was pretty bad. Yet that area of Michigan is home to some of the largest corporations in the world. GM, Ford, Chrysler, etc are all headquartered there, and the suburbs around Detroit tend to be some of the richest in the world. A statistic in the movie is that in the 1950's Detroit was home to 2 million people, today it's under 800,000. The normalthink paradigm of cities is that each city continually grows in population, and cities do not shrink in population. However the reality is that many cities, such as Detroit, shrink in population. What happens to a city whose governmental infrastructure is sized to support 2 million people, but the population shrinks to less than half of that, and the economic base of the city craters? Half the number of people means drastically smaller tax revenue for the city. How can the city pay for the police and fire and other services it is responsible for on a drastically smaller tax base? Basically, Detroit has lots of problems. 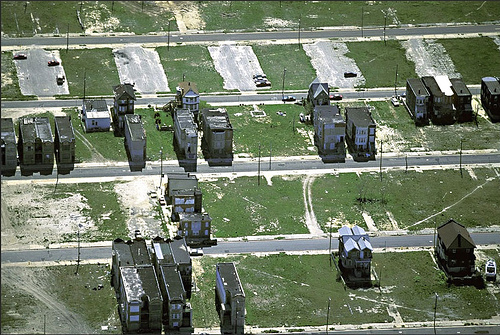 What the movie, Urban Roots, shows is a movement of people who see all the empty land -- that is, all those blighted neighborhoods full of vacant burned out buildings? The city went in and razed all the buildings so that at least the drug people couldn't squat in the buildings and do their drug gang violence thing. But, that resulted in many blocks with one house left per block, and oodles of vacant spaces between the houses. The feeling of these areas became rural, and some people saw this empty land as an opportunity. 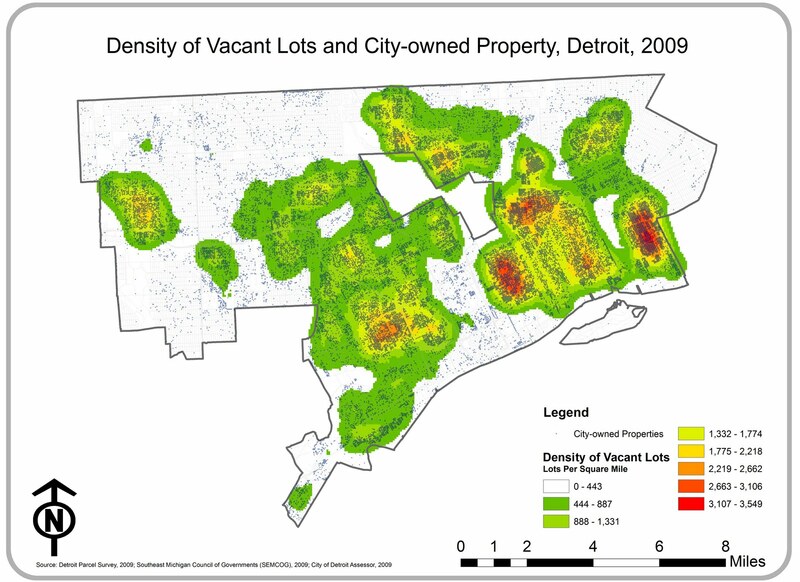 The city government likely sees that vacant land as a problem, because there's no businesses or houses on the land there is no tax revenue for the city. However the people in this movie sees the land as an opportunity to garden, grow food, rehabilitate the land, get back in touch with the land, etc. One of the people interviewed talked about the people of West Africa, who became the Slaves that were brought to America, those people in Africa have a rich agricultural heritage, which is why those people were prized as workers for farms in the Old South. Many of the people interviewed in the movie were African Americans in Detroit, and the speaker talking about the African agricultural heritage likened this to a reawakening of their cultural heritage. However, many of the young African Americans had to overcome a stigma that farm work was tantamount to slavery. The African American heritage of being slaves has stigmatized, for them, the idea of manual labor. The cure for this stigma is to separate "Working For The Man" (manual labor where someone else gets rich) versus "Working to Build Something for Your Own Benefit" (manual labor, to grow your own garden, grow your own food, that you don't have to buy from a store). Another thing in the movie is a concept of ad-hoc people powered eminent domain. That is, suppose you live in these neighborhoods, you want to grow a garden, and there's a vacant lot next door? Is it correct to just go and plant a garden in that lot regardless of the wishes of the land owner? Many speakers in the movie were proudly preaching that we should just inhabit the unoccupied fallow land, and put it to good use, consequences be damned. I rather disagree with that tactic. Someone owns that land. The land owner should have the say over what happens on the land they own. Perhaps it is the city which owns the land that had been abandoned by previous land owners? Which leads to another issue discussed in the movie. Zoning and other city regulations. The land we're talking about primarily was zoned for residential use, where houses were the expected common thing. The role of a city is to design the fabric of the city, and Zoning regulations are the means to do that. 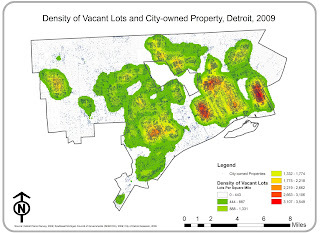 However in Detroit the people were just going and doing what they wanted, with the city having little ability to exert enough control to enforce Zoning. City employees, the current Mayor, the former Mayor, etc, were interviewed talking about the role of the city, the zoning regulations, and how the people in these small urban farming operations were working at too small a scale, under the radar, for the city to keep up with them. But that these small urban farming operations also were not in conformance with the zoning regulations. Again "What do you do if your city turns into a burned out husk of its former glory, abandoned buildings for miles upon miles, etc?" If you want to ponder these ideas, I highly recommend the movie.